Very portable Mixkit3 with carrying bag -Mixpad106/Luxpad43/RGB173 . hard lighting&soft lighting&RGB comes together for free option. We are receiving many inquries from customers. 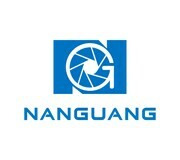 Thanks so much for your keen support and trust.NANGUANG will try our best to make it better and better! See you !